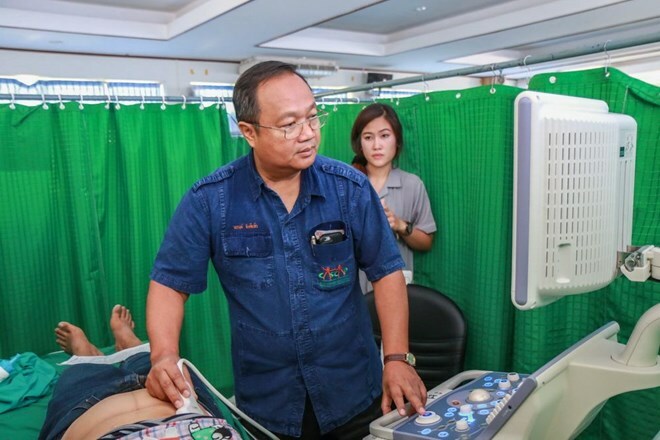 Bangkok (VNA) – Thailand is planning to implement its Cholangiocarcinoma Screening and Care Programme (CASCAP) to help risky groups in neighbouring Laos, Narong Kantikaew, according to local media. Earlier, the programme was carried out in Thailand’s Northeast. Dr Narong Kantikaew from Thailand’s Khon Kaen University said the project financed by the Hong Kong-based Kadoorie Foundation via Imperial College London, project is worth the one-million pounds (41 million baht). It is scheduled to be launched on April 22 and last for three years to prevent 70-80 percent of the more than six million Lao people from falling prey to liver fluke and Cholangiocarcinoma, The Nation reported. In collaboration with the Laos Public Health Ministry, experience of working in Thailand’s Northeast under the programme will be utilised to campaign and provide medical services to villagers in Laos. According to Dr Narong said people in Thailand’s Northeast and Laos have similar eating habits and a similar way of life, and eating raw meat is popular there. The project will benefit not only Laos but also Thailand, as people in the region cross the border to work in Thailand. Under the project, medical officials and volunteers will provide medical services and educate Lao people on how to prevent liver fluke and Cholangiocarinonma.